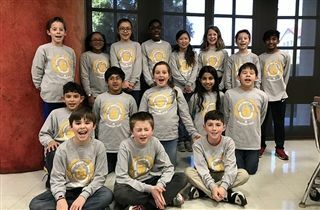 KCD’s fifth grade Quick Recall team will advance to regionals after very competitive play at the district competition. In addition, Akash Sigdel, Gage Fackler, Ashir Ouseph, Ricky Panchal, and Paige Davis will advance to regionals as individual competitors for written assessments. We’re proud of these students and wish them good luck at regionals on March 2! Coach Amy Mendel said, “Wherever we went, the team received many compliments from officials, volunteers, high school student helpers, and parents about how polite our team was.” This is our school motto, Citizen, Scholar, Steward, in action! Congratulations, Bearcats!